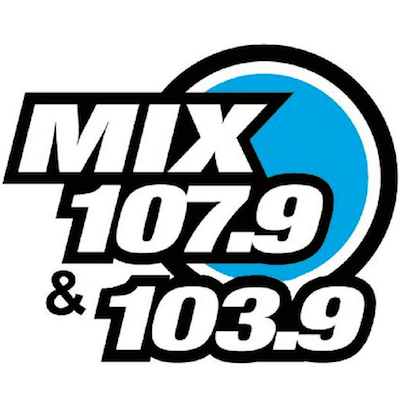 Broadway Media has announced it will donate the license for CHR “Mix 107.9” KUDD Randolph/Salt Lake City to Community Wireless, Inc, the owners of Public News/AAA 91.9 KPCW Park City. As part of the deal the groups will apply for contingent upgrades. KPCW will move to 91.7 and Broadway Rhythmic CHR “U92” 92.5 KUUU South Jordan to 92.3 with a stronger signal in Salt Lake City proper. Broadway will pay all costs associated with KPCW’s upgrades. It has been expected for months that the “Mix” CHR format will move to the upgraded 105.1 KAUU Manti in some form. 105.1 is currently stunting with Christmas music as “The Gift“. KPCW-FM, the nonprofit community radio station serving Summit and Wasatch Counties since 1980, has entered into an agreement with Salt Lake City-based Broadway Media to acquire its FM station KUDD, operating along the Wasatch Front on 107.9 FM. Broadway Media is donating the radio station at no cost to KPCW. The transaction requires federal regulatory approval from the Federal Communications Commission. After that, Broadway will construct the necessary transmission facilities to move KPCW to 91.7 FM. The project is expected to be completed in late winter, 2016. The two parties involved closed the deal on Tuesday, December 1, 2015. This is great news. The 92.3 upgrade for KUUU and the move to 105.1 for KUDD should give the two stations better coverage and improvements in the area, plus its a good thing their formats will be retained. A story from KPCW and a related interview are at http://kpcw.org/post/kpcw-strengthen-signal-new-deal. Wow….the lengths Broadway will go to keep a nearly full market signal out of the hands of other broadcasters (and get a tax break). Broadway and their associates are now in the business of keeping potential competition out of the market after years of adding to one of the most crowded dials is the country (thanks Simmons-Millcreek). As regards both Mix and U92, signal only gets you so far, relevant programming might help. Mix has been the proverbial also-ran on the CHR end for years and U92 – who knows? A tough listen for anyone over 30. Good luck with the upgrades – see you in the monthlies. That’s not the point at all – they didn’t have to get rid of 107.9 in the first place. It was used as “payment” to get them to move down the dial a bit so that they could move 92.5 down to 92.3. That couldn’t happen without 91.9 moving to 91.7. I need to clarify – they already made the move to 92.3, they want to change either the power/pattern/height. Very cool to help public radio, as well… Getting some goodwill brownie points never hurts! Meanwhile, once has to wonder what will happen with KTCE, which covers the Provo area from Payson at 92.1. Chances are that Moenkopi Communications might have to either move to a new signal or have something to say about this. I’m guessing there’s already some sort of short-spacing agreement or change in place. It’s pretty common practice. Whew – I wish we had an edit function. I took a look at the mess of apps and changes down at that end of the dial recently…it’s confusing! It looks like 92.5 was going to go from a C2 to an A because of the big move that involved KCUA Diamondville, WY. going to 92.5C1. They later downgraded KCUA from a C1 to a C2, which allowed KUUU to remain as a C2. The current spacing has a margin of 16KM to KTCE, 2KM to KPCW, and 3KM to KCUA. I’m wondering if they’re looking to possibly stay on 92.5, and downgrade KCUA even further. With KPCW moving down one channel, that would allow an upgrade on 92.5 with a downgrade to KCUA. If they go to 92.3, it would they would have the same spacing issues with KPCW, and additional ones with KTCE that would need to be resolved. I did notice that there *may* be a possibility that KCUA could move to 92.7C1. Looking at the spacing tables on their last application, they show 92.9C1 as being 105km away. C1 to C1 spacing requires 110km. I haven’t tuned in a while, but I think 92.1 has been silent or off for some months now. I can’t verify at the moment.. If it is silent then this would be good news for KUUU. That may explain why waited to make this move. I noticed that KTCE’s website is still under construction as well, saying that it will be back soon… even though its been under construction since 2011.